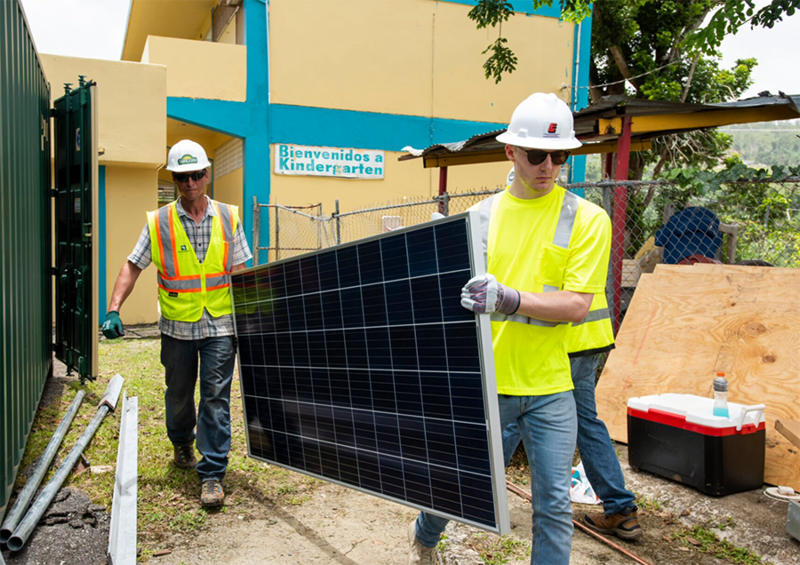 While natural disasters capture headlines and national attention short-term, the work of recovery and rebuilding is long-term." We are proud to announce that as of today, Black & Veatch's ongoing mission to give power resiliency to the 140-student SU Manuel Ortiz school in Puerto Rico's Yabucoa district is officially complete, 11 months after the community was among the hardest hit by Hurricane Maria. 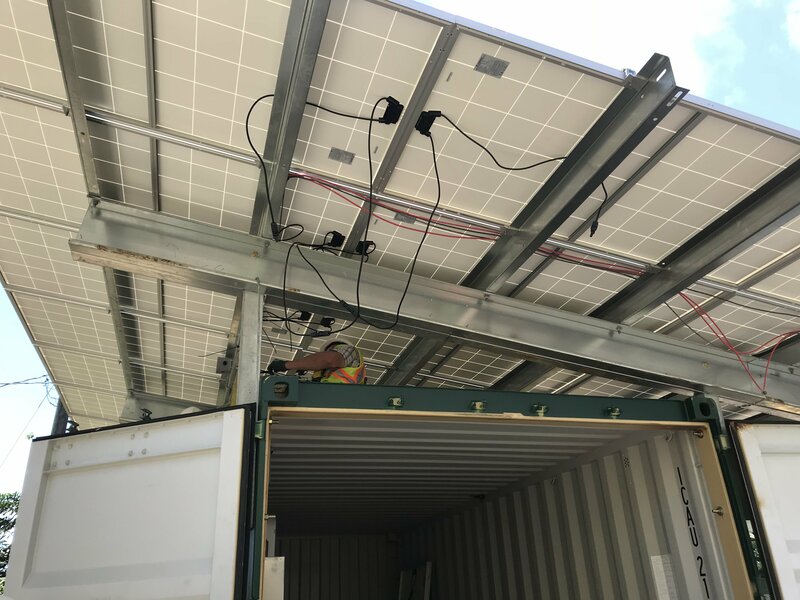 This exciting milestone is a part of our voluntary relief efforts involving “SunCrate,” an innovative, scalable, plug-and-play sunshine-to-energy module that’s an effective mitigation measure to back up the traditional power supply from the grid. 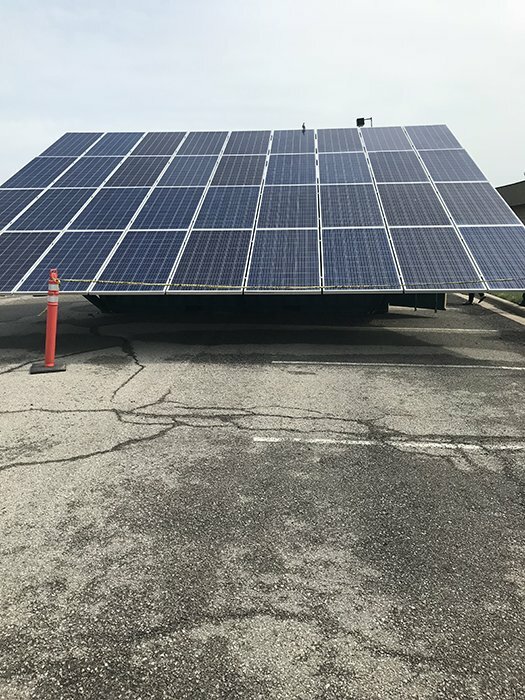 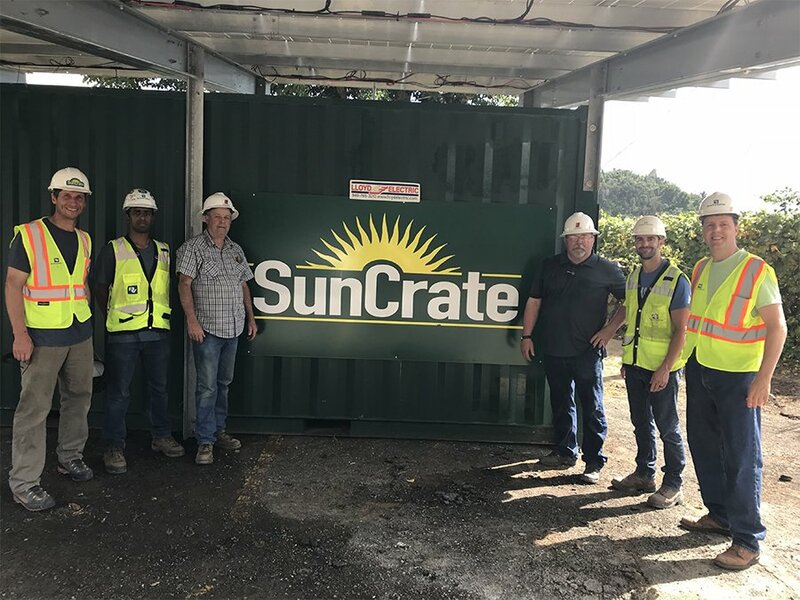 The SunCrate also can provide sustainable power in the face of ongoing system outages and future natural disasters without requiring diesel fuel. 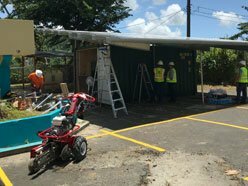 This humanitarian effort to return sustainable electricity to the K-8 school, found along the island’s southeastern coast, drew donated equipment and expertise from a collection of North American companies. 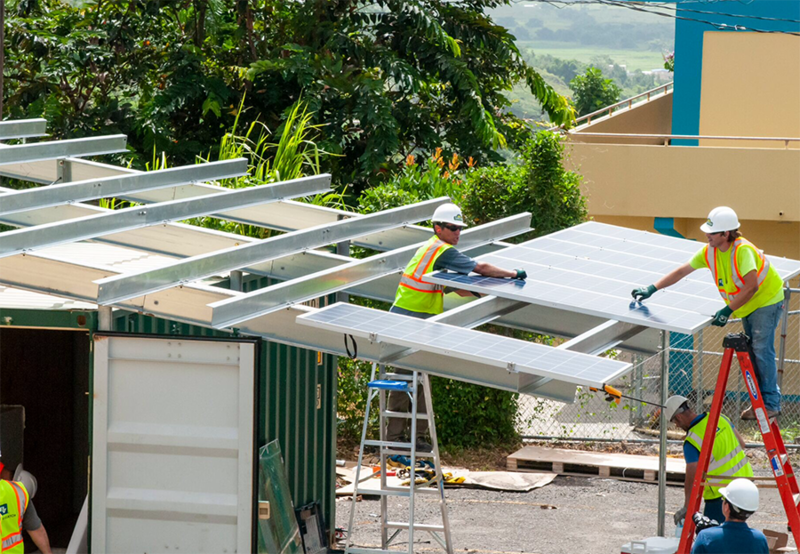 Additional support for the Yabucoa project came from Tesla, Canadian Solar Inc., and Lloyd Electric Co.
Black & Veatch, Tesla, Canadian Solar, Lloyd Electric and SunCrate Energy bring resilient microgrid power to SU Manuel Ortiz in Puerto Rico Eleven months since their three-building school was first plunged into darkness by Hurricane Maria, 140 students in Puerto Rico’s picturesque Yabucoa district have reliable power. 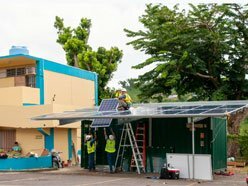 Resilient electricity service was provided Saturday to the SU Manuel Ortiz school through an innovative scalable, plug-and-play sunshine-to-energy module pioneered by SunCrate Energy with Black & Veatch support. 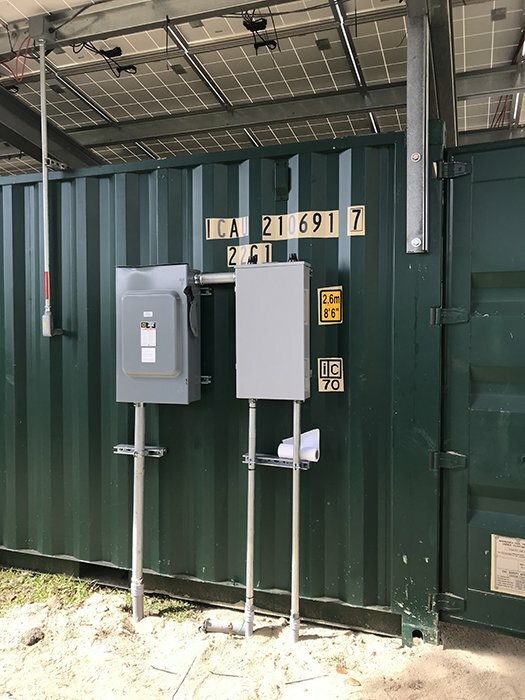 Known as a “SunCrate”, the unit is an effective mitigation measure to back up the traditional power supply from the grid. The SunCrate can also provide sustainable power in the face of ongoing system outages and future natural disasters without requiring diesel fuel. 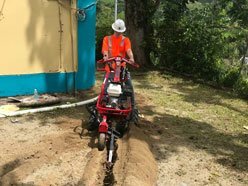 The humanitarian effort to return sustainable electricity to the K-8 school, found along the island’s hard-hit southeastern coast, drew donated equipment and expertise from a collection of North American companies. 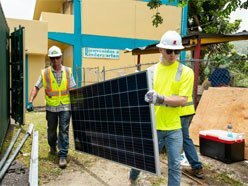 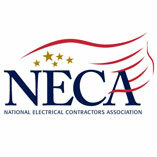 Additional support for the Yabucoa project came from Tesla, Canadian Solar and Lloyd Electric. 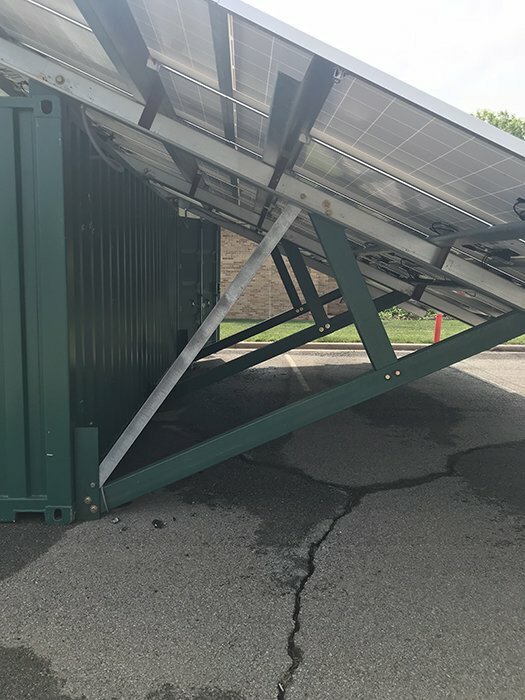 "We are grateful for this initiative, which will equip this school with the technology needed to become a resilient campus and not dependent on the status of the power grid. 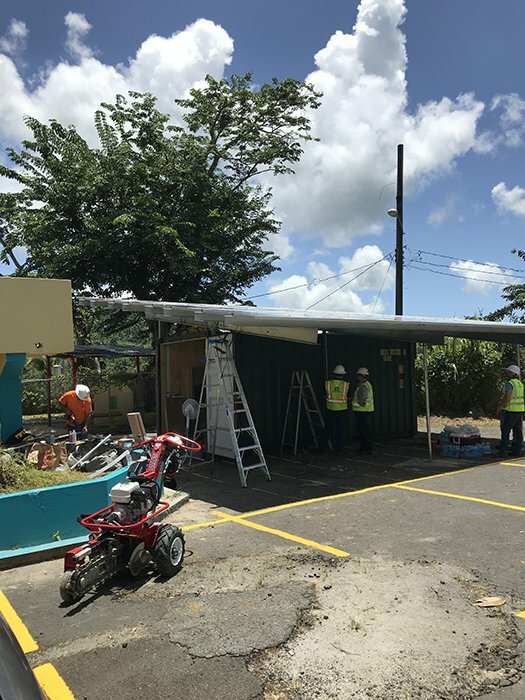 This means that if we are hit with future harmful weather events, the school will be able to open more quickly and continue providing services to students,” Puerto Rico Secretary of Education Julia Keleher said. 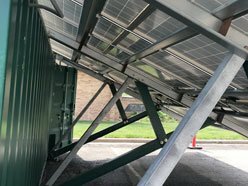 The SunCrate harnesses a scalable rapid-response design developed by Black & Veatch and manufactured by SunCrate Energy. 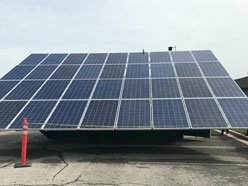 Electricity will be generated by an array of 325-watt CS6U-Poly modules from Canadian Solar, one of the world’s biggest solar power companies and a leading manufacturer of solar photovoltaic modules. 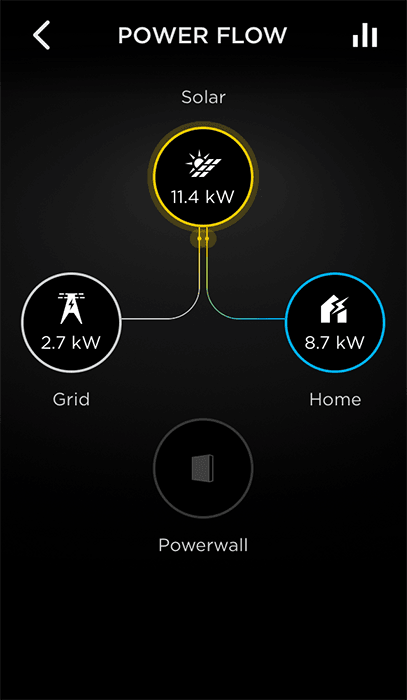 California-based Tesla contributed advanced battery energy storage through various Powerwall units capable of storing excess solar power and delivering it outside peak generation periods. 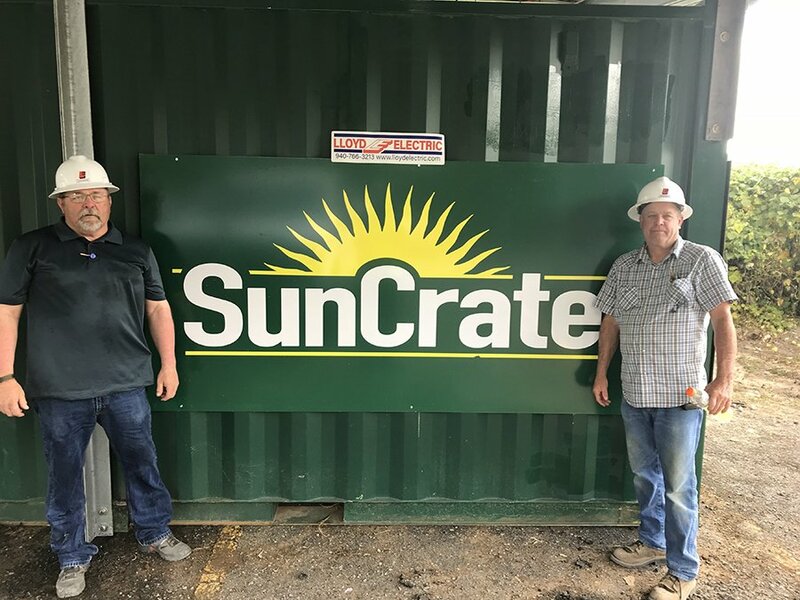 Lloyd Electric Co. of Wichita Falls, Texas partnered to support delivery and installation of the SunCrate. 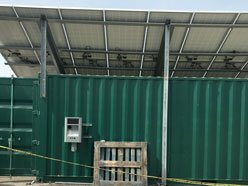 The SunCrate is a portable renewable energy system conceived by Ivener and designed and tested by Black & Veatch. 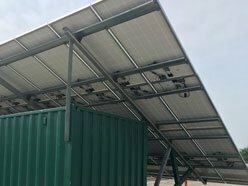 Its modular design uses solar PV panels, inverters and batteries to store and provide electric power in support of critical services such as police, fire, schools, clinics and other community level facilities. 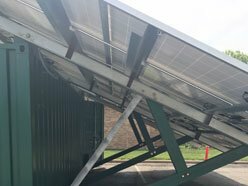 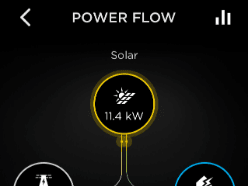 A SunCrate can generate 23 to 156 kWh per day, and store 10kWh to 135kWh depending on configuration. 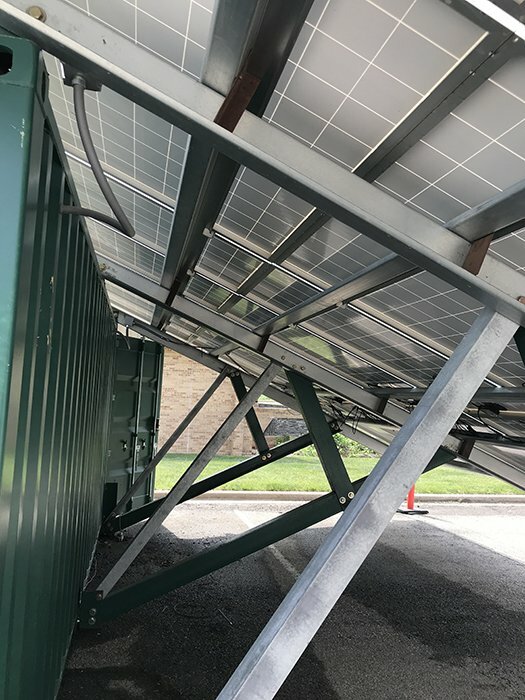 A SunCrate’s power generation and storage capacity can be easily scaled through daisy-chained configurations to accommodate larger buildings and loads. 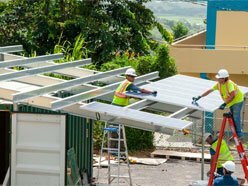 Leveraging resources from Tesla, Canadian Solar, Lloyd Electric, the unit in Yabucoa will provide an estimated 52 kWh of storable power without requiring use of costlier diesel-powered generators and cutting greenhouse gas emissions. 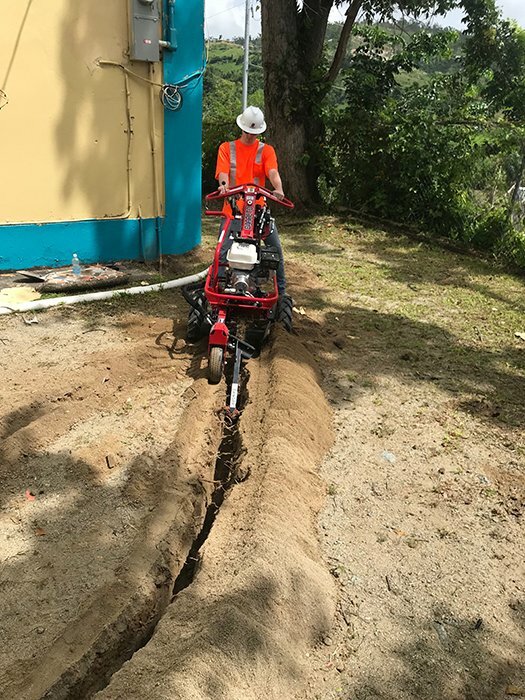 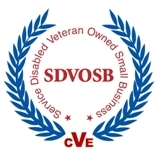 Its capabilities allow the school to strengthen its function as a designated Community Emergency Response Center in the event of future natural disasters. 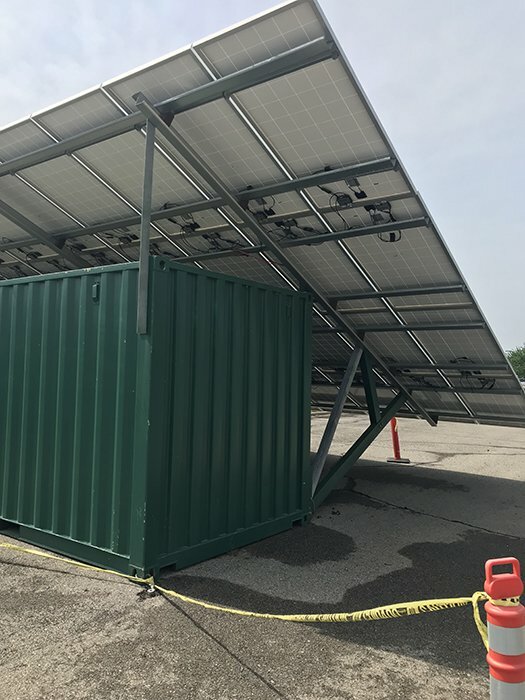 The SunCrate will also substantially lower the school’s ongoing electricity costs by providing a reliable source of renewable energy on site. 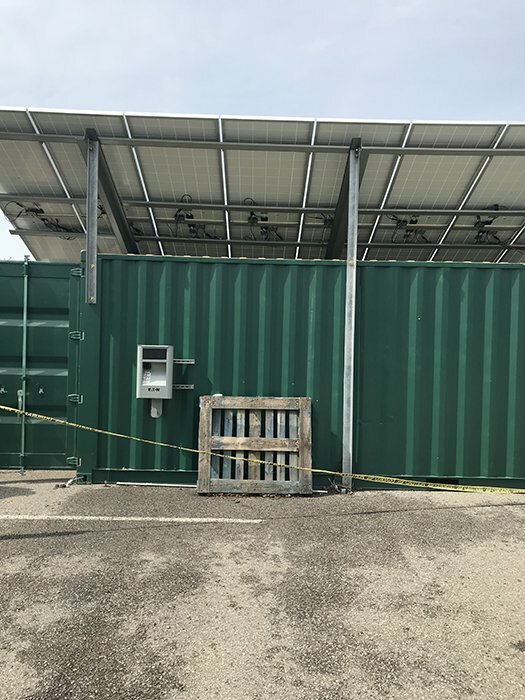 SunCrate also has broad potential applications in conflict/post-conflict environments and in rural electrification efforts in the developing world, serving as a resilient source of electricity within hours of its arrival on site. 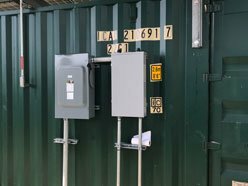 Of particular benefit, the system’s flexibility cuts fuel costs to a fraction of a generator’s typical consumption when they are used around the clock with maintenance requirements.